The Micro Beacon is a lightweight (1 oz with battery) and small (fits in T-20 size tube) device to help you find your rocket after it lands. Snap in the battery and put a wrap of tape around it to secure it. Loop the Kevlar® lanyard through your nose cone eye screw, or tie it to your shock cord, and tuck the Micro Beacon into your rocket on top of the chute. The Micro Beacon is not loud (if it were, it would have to be bigger and heavier), however, because of the warbling tone it generates, it's easy to hear under most conditions. 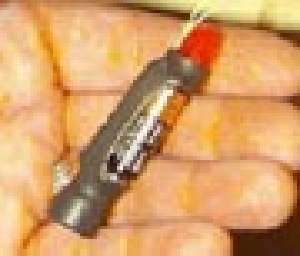 A fresh battery should power the Micro Beacon for at least 48 hours. 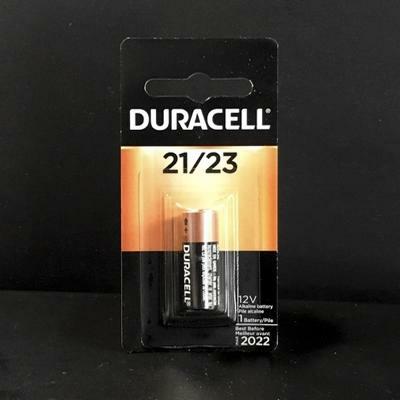 Requires 12v battery (not included), such as Duracell #21/23 (our item code MBB-1).